Finally Nokia joins GHz club. Today Nokia unveils it’s first Symbian Anna mobile with 1GHz processor. Nokia 500 is an affordable smartphone with mid range specifications. 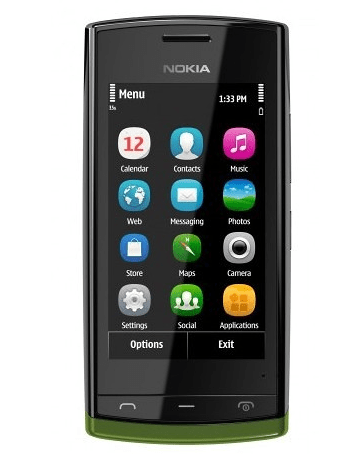 Other Symbian Anna mobiles like Nokia N8,E7 have 680 Mhz processor. But this time Nokia is very late as almost all other mobile companies already have 1Ghz mobile from last few years. Now every one is moving towards dual core processors with clock speed more than 1Ghz then Nokia is coming up with 1Ghz single core processors. Specification of Nokia 500 is basic. It has 3.2 inch capacitive touch screen with 640×360 resolution which is common among all Symbian Anna smartphones. Nokia 500 has 5 megapixel rear camera with out flash, still no details about it’s video recording capability. Nokia 500 is a 3G HSPA enabled mobile offering speed up to 14.4 mbps on HSPDA and upto 5.8 Mbps on HSUPA. It has Wi-Fi b/g but no Wi-Fi n here, so it’s a negative point. GPS, Bluetooth 2.1 (no Bluetooth 3.0) MicroUSB and 3.5 mm standard audio jack is present. Nokia 500 will come with 2GB in built memory and it will support microSD cards. To make Nokia 500 attractive, Nokia will release it in different colors like Black,White and there will be different colored back covers also. 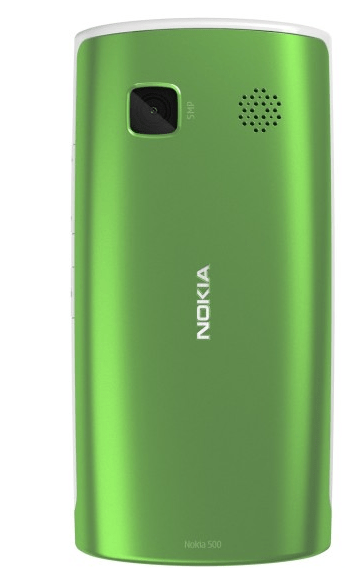 From the specification of Nokia 500 we can see that it’s a cheap Symbian smartphone with 1 Ghz processor. It will be available third quarter of this year and Nokia 500 will cost around €150( around Rs 10,000) before taxes and subsidies. We think Nokia is trying to make it successful like Nokia 5800 and Nokia 5230/5233 which is in same price range.